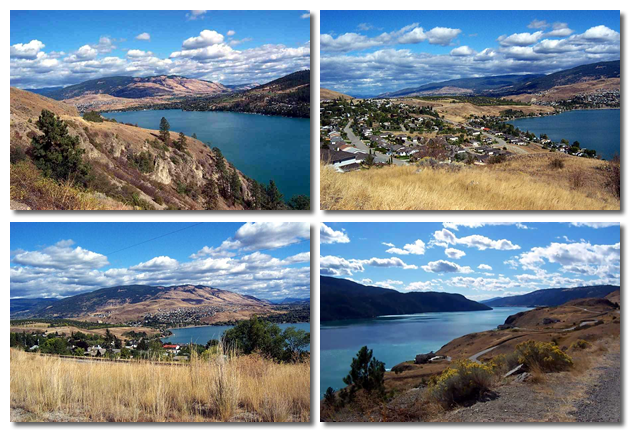 Vernon, British Columbia is located between Calgary AB and Vancouver BC approximately 140 miles north of the US border at the Northern end of the diverse Okanagan Valley. The region boasts several lakes including Lake Okanagan (home of the legendary lake monster “Ogopogo”) and Kalamalka Lake both of which are ideally suited to water sports like water skiing, swimming, and fishing. Less than 30 minutes away is a world-class ski hill – “Silver Star Mountain Resort”. Between the beaches and the ski runs you’ll find miles of trails ideal for hiking and mountain biking. Golf enthusiasts will enjoy premiere golf courses like, “Predator Ridge” which played host to the 2000 Skins Game, the Vernon Golf and Country Club, Hillview Golf, and the Spallumcheen Golf Club. Economy: Light manufacturing, forestry, retail, services, agriculture and tourism. The Vernon/North Okanagan economy is well diversified and not dependent on any one industry. Over 3,500 businesses employ a labour force of 33,000. Small businesses make up the majority of companies particularly businesses in financial services, forestry services and high tech industries. Entrepreneurship is strong in the Okanagan with an ever-increasing number of self-employed and home-based businesses. The Vernon/North Okanagan weather is moderate. Vernon is home to one of the most northern vineyards in Canada and several lush orchards. Vernon and area enjoys an excellent school system including full French Immersion, public and private schools, and Okanagan University College featuring a Continuing Education division. If you are considering a move to Vernon and would like further information about this area, please contact me for up to date listings in the area, or answer any questions you may have about this beautiful location.